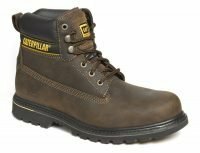 Our Caterpillar safety boots are ideal for a wide range of industries, offering maximum protection for the feet. The CAT work boots are perfect for environments that are especially tough and rugged; they’re manufactured to be hard-wearing and reliable. 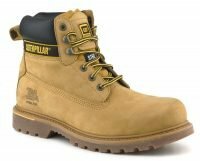 The supply the Caterpillar safety boots which are designed to be heat resistant, offering suitability for harsh conditions. As well as this, the CAT safety boots are not only reliable for their ability to withstand impacts, they’re also ideal if you want to make a statement, and a professional one at the too. Here at PPG Workwear, we supply the CAT work boots for workers looking for sturdy footwear. Our CAT boots are available in an assortment of colours, including brown, black and honey so you needn’t worry about finding something that suits your style requirements, from our collection below. With the Caterpillar safety boots, you can rest assured that they will be flexible towards your needs, ensuring that there is not only a balance between comfort and cushion but also resistance to all weathers and terrains.